Our guides are young, friendly, and knowledgable about life along the Corobici River. They represent a great way to meet the real people of Costa Rica while relaxing and seeing the animals and birds of a special place. 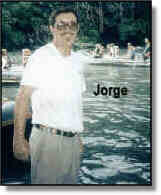 Jorge Hagnauer, "the boss", is from Switzerland but has lived most of his adult life in Costa Rica. He can answer your questions in 3 languages (English Spanish, and German) and is very knowledgable about the tropical dry forest, as well as everything in this part of Costa Rica. Roberto Fishel: born in Florida; graduated from Miami High in 1964; Vietnam Veteran from 1965-67; naturalized Costa Rica Citizen; a very knowledgeable person regarding Costa Rica in general. 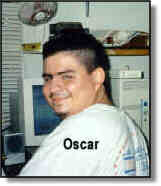 Oscar Herrera: born in Rochester, NY to Costa Rican parents; has decided to make his home in his parents' country; a great guide and a valuable employee; father of a new baby. Gregg Dean makes his home in Jackson Hole, Wyoming. 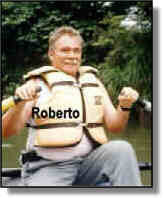 At one time he was the owner of Safaris and enjoyed rafting on the Corobici river. These days he enjoys trout fishing and skiing throughout the Jackson Hole area and works as a scenic raft guide on the Snake River with Triangle X Ranch. Sooo ...contact him personally at home or check out the highlighted links if you want some inside information about Costa Rica or Jackson Hole.